Mixed vegetable is good food for any type of people. First wash this vegetable very nicely. And heat 4-5 cups water in a deep bottom pan, once water starts boiling add all the vegetables except paneer and blanch them for 5 minutes. Drain all the water. Then heat 1 tbsp oil in a pan and add all the above blanched vegetables till light golden brown. And keep aside. Now then in a pressure cooker add all the ingredients with 1 tbsp butter except vegetables, any type of sweet cream and fry for 2-3 minutes, add 1/2 cup water, pressure cook for 3 whistles. Once it cools transfer to a mixed and makes a smooth paste. And again heat 1 tbsp butter, add the above prepared paste and fry nicely till oil begins to saturate out of the mixture. 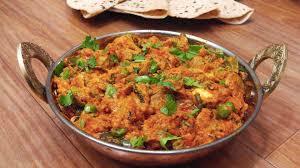 Now add the fried vegetables along with paneer and mix it till the entire gravy blend with the vegetables. Now add ½ cup water, let it boil for 4-5 minutes, add the sweet and let it cook for 5 more minutes. All the cooking should be done in low flame. Finally add 2 tbsp cream and switch off the flame. Serve this dish any ruti or fried rice.